The Philippines is considering shortening the closure period of its most popular holiday hotspot, Boracay, to four months instead of six, but the number of visitors allowed on the island when it reopens will be limited. A masterplan to redevelop Boracay, which has turned into a "cesspool" due to pollution according to President Rodrigo Duterte, into a liveable and greener community will be finalized after its rehabilitation, Tourism Secretary Wanda Teo said on Wednesday. "I think we can do it (cleanup) in four months. That's why we wanted it (to be) total closure, for us to do it fast," she said in an interview with ANC news channel. Tourism Industry officials fear a longer-term fallout on the Philippines' image as a tourism destination. Hundreds of Boracay hotels, as well as restaurants, tour operators and business establishments were unwinding bookings for rooms, flights, weddings and other events and facilities, after the shutdown was ordered by president Duterte in the beginning of April. Boracay will be closed to local and foreign tourists from April 26. 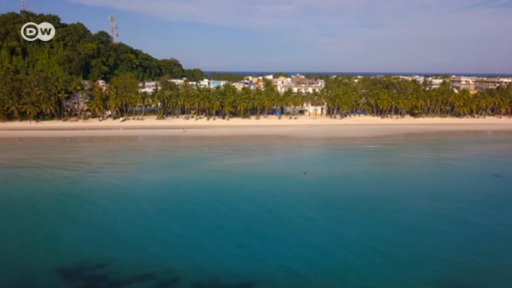 The government wants to save the tiny island that generated 56 billion pesos, or over $1 billion, last year but cannot cope under the strain of two million tourists a year. When it is reopened, Teo said the number of visitors to Boracay, which a decade ago was found to be capable of accommodating only about 25,000, will be limited. The number of people on the island now tops as high as 75,000, she said. Environment experts are undertaking a study to determine the island's "carrying capacity," she said. The rehabilitation involves the demolition of more than 900 illegal structures, improvement of waste management, and expansion of drainage and sewage systems. Teo expects foregone revenues from the shutdown to be at "around 7 billion pesos," or even lower if the closure period is shortened to four months, she said. The Philippines re-opens its crown jewel resort island Boracay to holidaymakers on Friday, after a six-month clean up aimed at repairing the damage inflicted by years of unrestrained mass tourism. Boracay has been closed to vacationers for the last six months to recover from years of damage from mass tourism and environmental mismanagement. While the authorities built new roads and overhauled sewage systems, the island’s business owners have suffered. Boracay Island, 310 kilometers south of Manila, is one of the country's top tourist destinations. But President Duterte has approved a temporary closure for tourists, paving the way for the rehabilitation of the island.